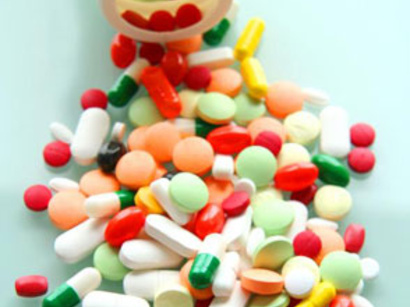 Iranian drug importing union chief Nasser Riahi has said there will be no special concern about the medicine drug supply in Iran next year, IRNA news agency reported. "The drug market has been stable. Regarding the actions taken to ensure the medicine drugs flow into the country, the interaction between the government and parliament is taking place, and next year there will be no problems with drug supplies," Riahi said. Iran experiences certain difficulties with drug shortages in the country, largely because of the international sanctions imposed on Iran, due to its disputed nuclear program. Despite the fact that the sanctions do not directly target the medical supplies and food, many companies refuse to deal with Iran, fearing the impact of the sanctions. "Iran's ministry of health, the Parliament and the Central Bank cooperate to solve this problem," Riahi said, commenting on the sanctions' effect towards local medicine. "They follow the step-by-step plan to solve the issue." He expressed hope that the government and Parliament will understand the circumstances of drug importing companies, which encounter problems with foreign exchange rate difference in the country. "Such subjects as allocation of money and stabilizing the exchange rate in Iran should be seriously pursued," Riahi said.